Pokémon Go: Facts, Tips, and Hints! Check It Out! Energy and Water Saving Toolkits. "Check It Out!" Energy and Water Saving Toolkits poster. Need ideas for activities to do with your kids during winter break? 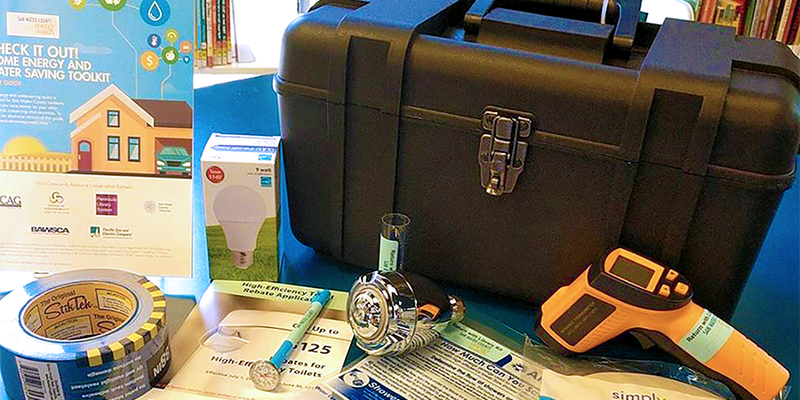 Head to your local library and pick up a “Check It Out!” Home Energy and Water Savings Toolkit and guide your family through a home energy and water audit. The toolkit comes with all the tools and equipment necessary to help you use less energy. It even comes with some supplies you can keep—including an LED lightbulb, weatherstripping, outlet gaskets, and low-flow faucet aerators and showerhead. You can check out the toolkit just as you would any item from the library—all you need is a library card. Ask your librarian to help you check out a toolkit, and if needed, Chineseopens a new window and Spanishopens a new window handbooks are also available. You can place a hold on the “Check It Out!” Home Energy and Water Savings Toolkit now to make sure you get one in time for the holidays. Anyone under 18 who is interested in checking one out must have a parent or guardian’s signature. To see the impact small upgrades can make to your household energy and water use, you can print out this Data Tracking Sheetopens a new window to do some basic analysis. Once you’ve used the toolkit, give us your feedbackopens a new window for a chance to win an energy efficiency prize! 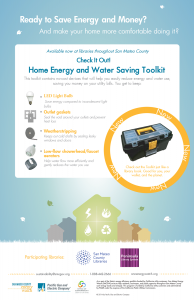 Have you used one of our “Check It Out!” Home Energy and Water Savings Toolkit? Share your experience with it below!